At the end of the harrowing scenic drive, Cape Royal is definitely an impressive reward. 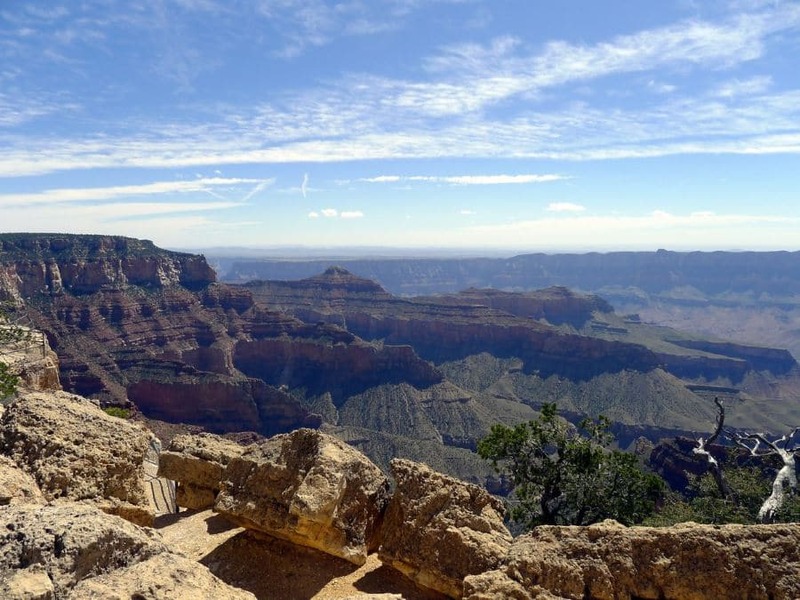 A short hike along a paved path from the parking area brings you past Angel’s Window to stunning panoramic views of the Grand Canyon, including Grandview Point across the river. 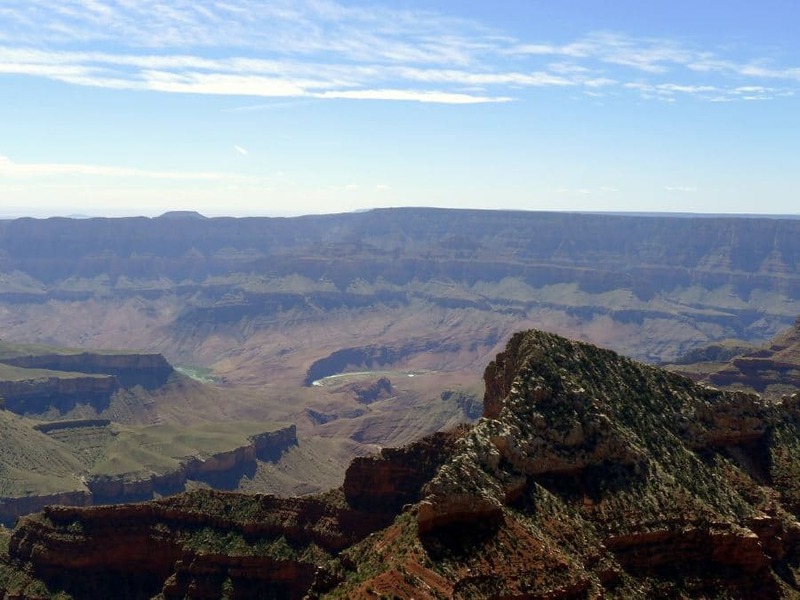 From the north entrance to Grand Canyon National Park continue until you reach the first junction. From here turn left onto the extremely narrow and winding Scenic Drive, with signs for Cape Royal. This road is not recommended for large vehicles and RV’s, because it is incredibly tight! Follow this road to its very end and park in the dirt parking lot. You will find an outhouse at the trailhead. From the parking area follow the clear paved trail that leads south. After less than half a mile you will reach a junction with a sign pointing towards Angel’s Window to the left. 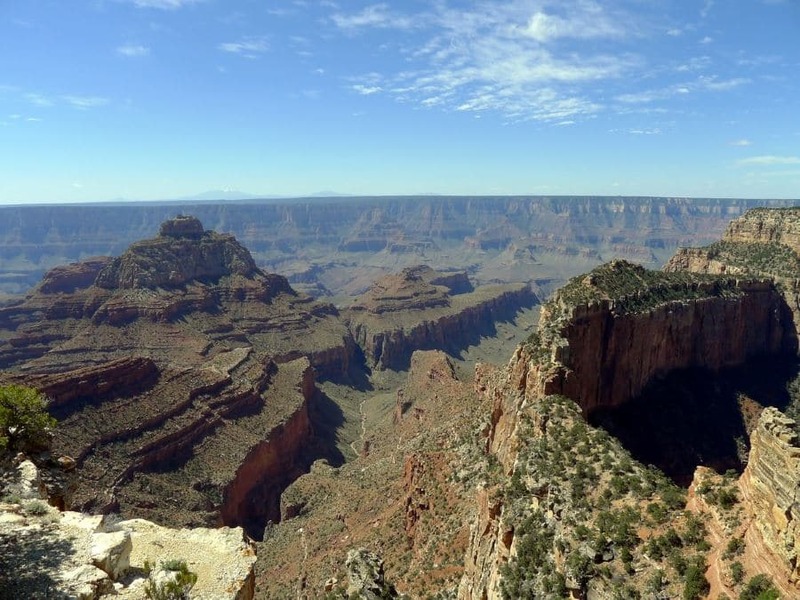 Briefly divert off the path for less than a quarter of a mile to reach the Angel’s Window viewpoint. 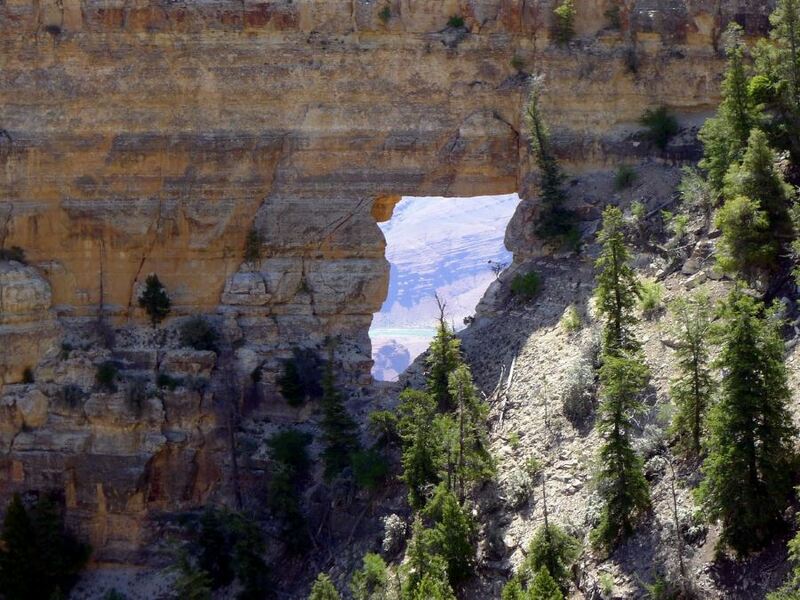 Angel’s Window is a natural arch in the rock allowing a picturesque view all the way down to the Colorado River! 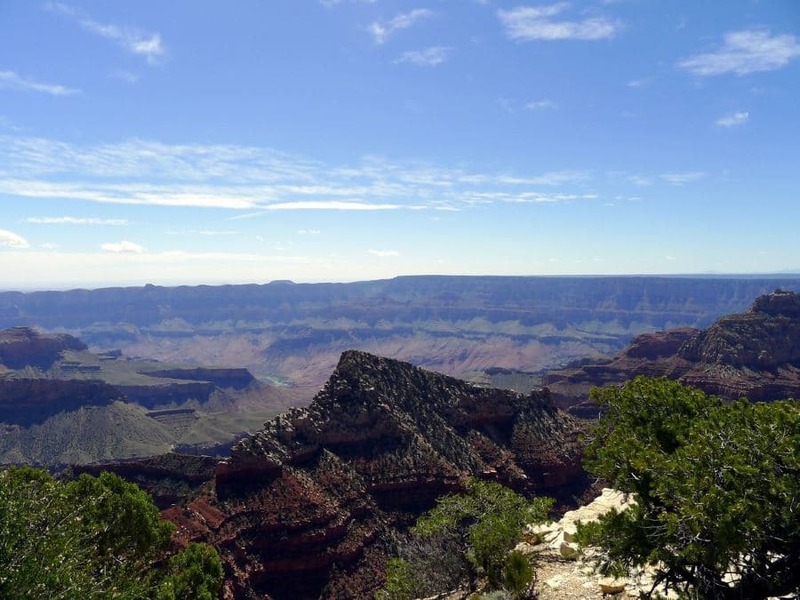 Here you can also get your first panoramic view of the canyon, including the far east side and the desert lands which hug the rim. Return to the main route and continue hiking along the flat path towards the cape. As you continue along the trail you will pass by several informational signs. These inform you on the geology and biology of the region, and are usually very interesting to check out – we definitely recommend it! Shortly you will reach your final goal – Cape Royal. 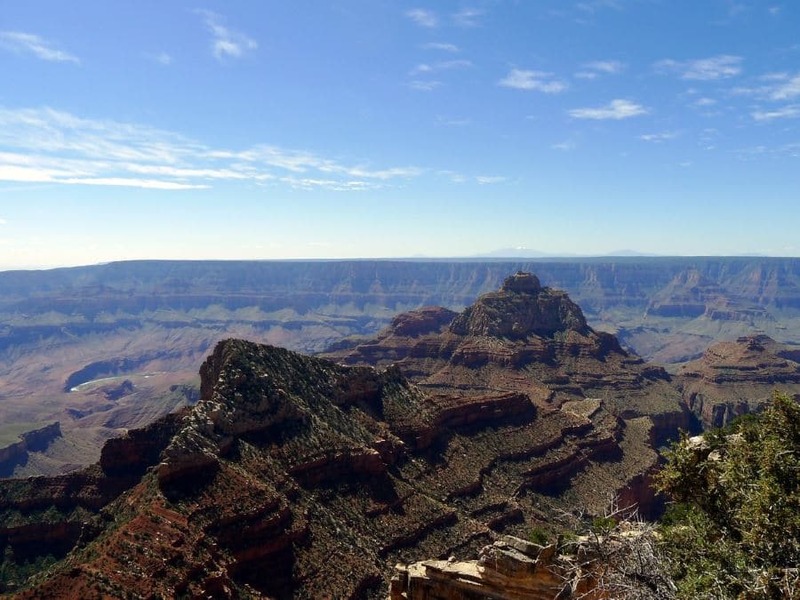 This beautiful point has unparalleled views of the Canyon. If you peer directly across you will mostly likely be able to see a small smudge on the horizon. 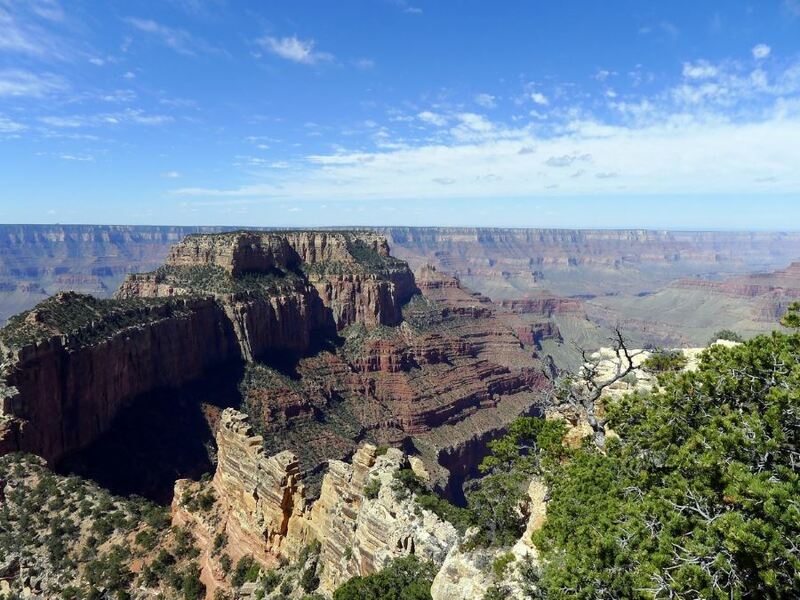 This is the tower of Desert View on the South Rim! Additionally you will be able to observe several temples, as described by the information billboards along the cliff. 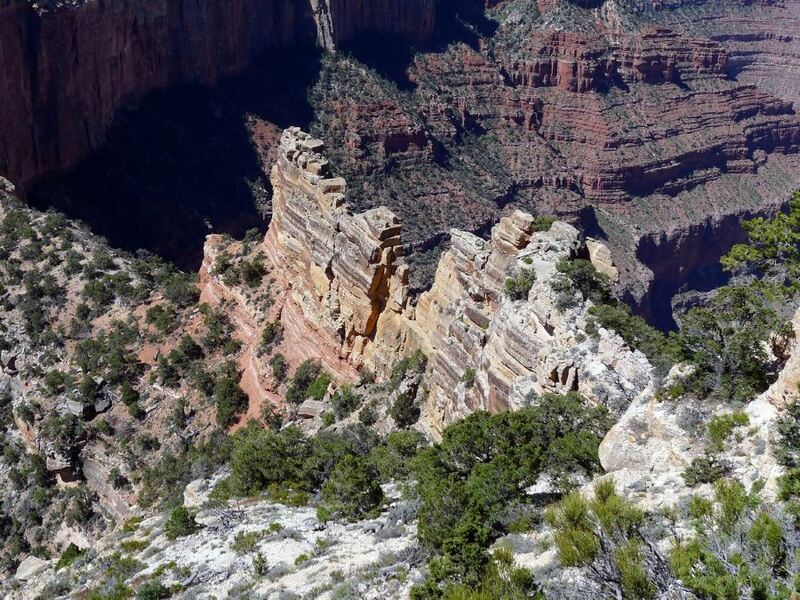 Return the way you came but don’t take the diverging path to Angel’s Window. Take extreme care on the drive back. Do NOT walk along the road to get a view. The highway is way too narrow for cars to be winding around people! If you want a shorter hike just go to Angel’s Window to get a view and a photo.